Hīkoi is more relevant than ever! Hīkoi becomes more relevant by the minute. 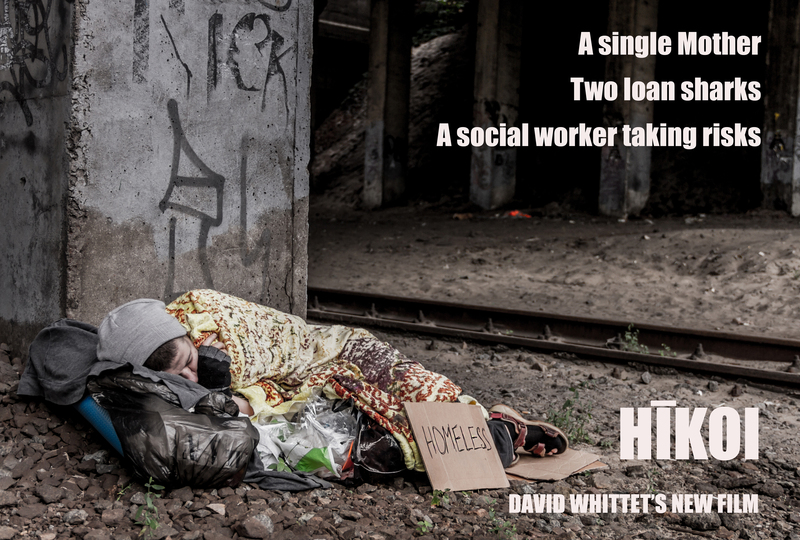 Inspired by the child poverty debate in the run up to the last general election, my screenplay includes several real life events woven into the story: the 2014 minor party leaders debate, the Hīkoi of protest to end child poverty and the presentation of a petition with fifteen thousand signatures to the government. In the film, a young Māori social worker strives to make a difference, taking risks to help a single mother hounded by loan sharks. He's enraged by empty promises from the politicians during the election campaign, all claiming that they care. Abandoned by his employer, alone and bereft of support, he takes the blame when everything crashes down around him. He drops out after losing his licence, forcing him to join cardboard city with his former clients. With the extraordinary political developments in New Zealand over the last week, accompanied by some angry rants on social media, I have been working out how my protagonist would react to all of this. What would he be tweeting? Perhaps I need to update the script to include the latest events––or start work on the sequel as the original goes into production!